BENGALURU: One of the assurances made while announcing demonetisation by Prime Minister Narendra Modi was that the decision would curb counterfeit currency. Though there are now reports of even counterfeit version of new Rs 2000 and Rs 500 notes, what’s worrying bank officials more is the circulation of counterfeit notes of smaller denominations. The issue came to light, following reports of counterfeit coins of Rs 10 denomination being rejected by a bank in the city. When contacted, an official of Indian Overseas Bank - a private sector bank, told Express that the branch was encountering the problem of counterfeit coins frequently. Though RBI considers all Rs 10 coin — as per its recent circular as legal tender (see box) — the genuineness of some coins is still under question. While such fake currency eventually trickles down to the banks, customers are the first ones to take a hit. Sharukh U, a resident of Kalyan Nagar, said he had received change for Rs 2,000 in Rs 100 denominations after buying groceries from a shop. “The next day, one of the Rs 100 notes was rejected by a shopkeeper, claiming the note was fake. On close examination, I realised that at least five of the Rs 100 notes given by the shopkeeper were fake,” he said. 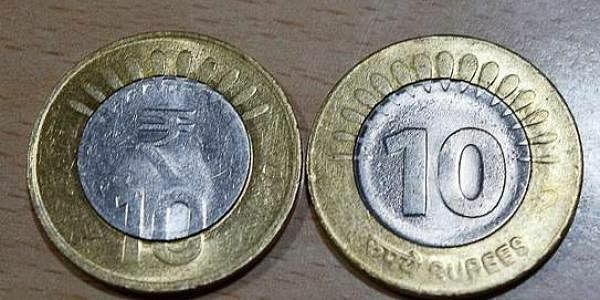 When contacted, Gurudath K S, Lead Bank Manager, Bengaluru Urban district said that apart from Rs 10 coins, fake notes of small denomination such as Rs 10, Rs 20 and Rs 50 too were being circulated. “The major problem with the fake notes of smaller denomination is that they look brand new,” he said. While bank employees are careful about large denomination notes, it is easy even for cashiers to miss these new fake notes during rush hours. An RBI official, when contacted, said that there were provisions to report fake notes. But, many people do not come forward because the whole method is cumbersome. Siddaramaiah, Superintendent of Police, Counterfeit, Arms and Narcotic division, CID, commenting on the issue of Rs 10 coins, said that all the coins were valid currency. No complaint has been filed with the CID in this regard.